On an individual level, handling finances may seem a difficult task because of the various transactions one accumulates in a day, in a week, in a month, and over the period of a year. A person goes through different experiences which can make their compilation of expenses vary from time to time. 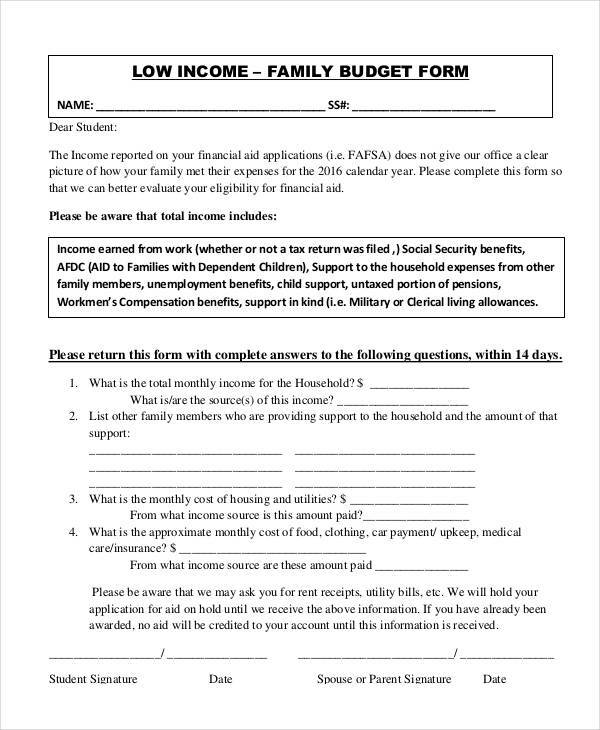 The utilization of Budget Forms can help guide a person as they sort their financial details. When one gets to the point in their life where they have a family to support, the way to handle finances is done differently. 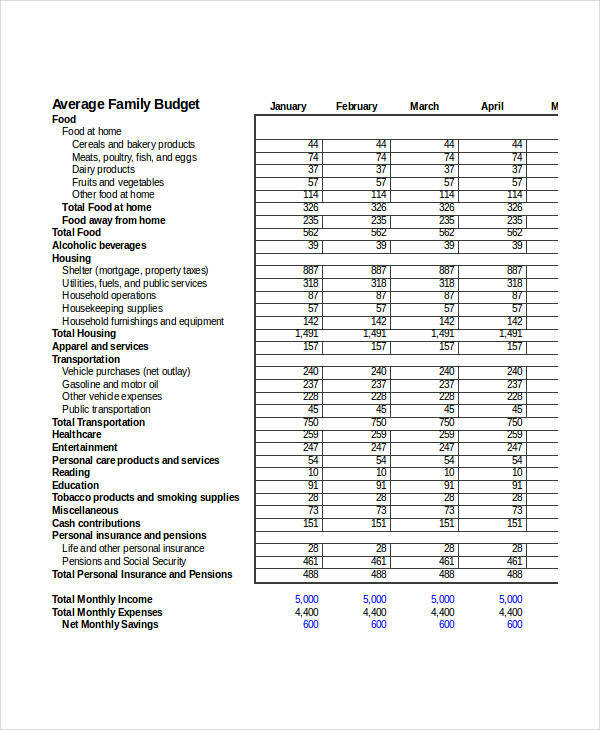 A budget that is for the family accumulates more expenses in comparison to an individual inclined budget. The budget is a method in which different financial aspects are given an allocated and specified amount of money. A budget can have a number of different focal points. One kind of budget one will eventually encounter is the family budget. 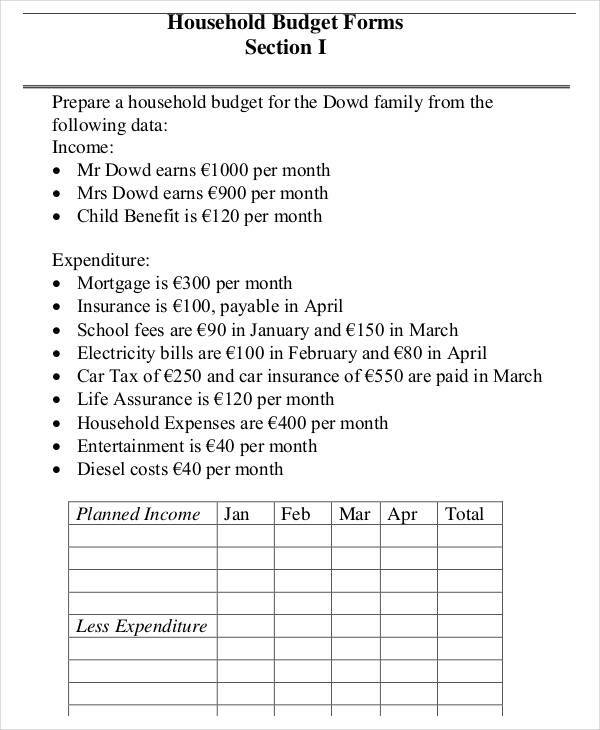 The family budget is focused on how expenses of the family are spent in relation to the income from the parents or designated breadwinners. 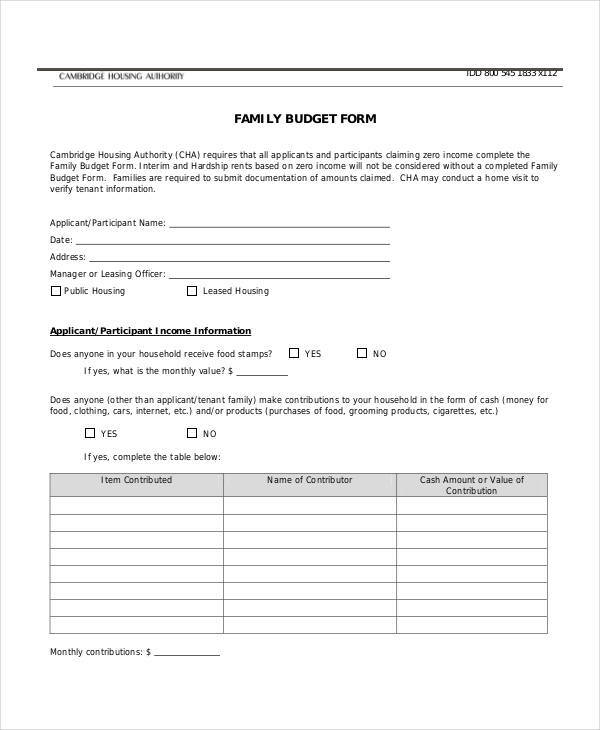 A branch of the family budget is the child care budget whose data is recorded by Child Care Budget Forms. 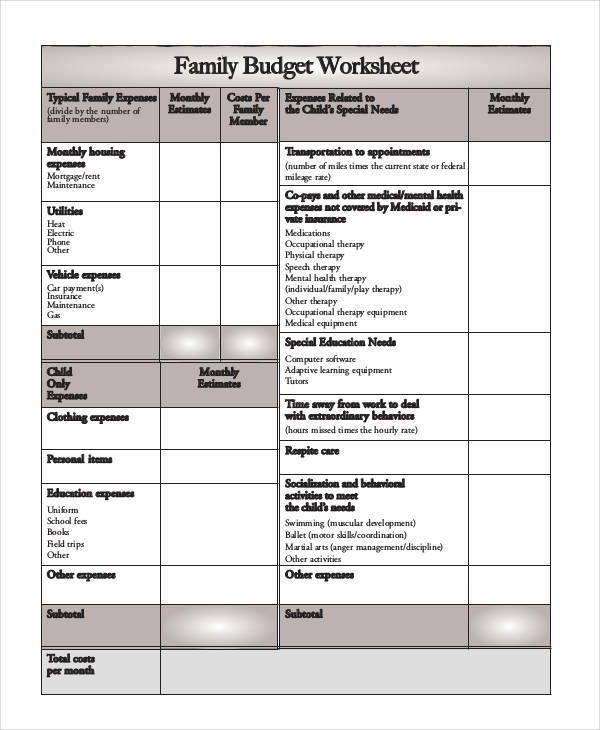 This type of budget focuses on the expenses to spent on the child or children. Creating a budget is a method can get a lot of benefits in terms of one’s financial situations. 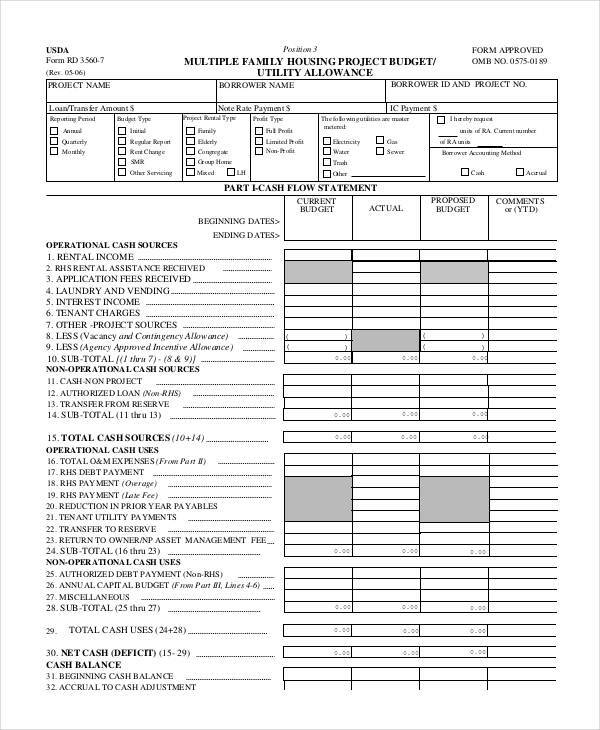 In order to further utilize the full potential of the budget, budget forms are incorporated into the practice. 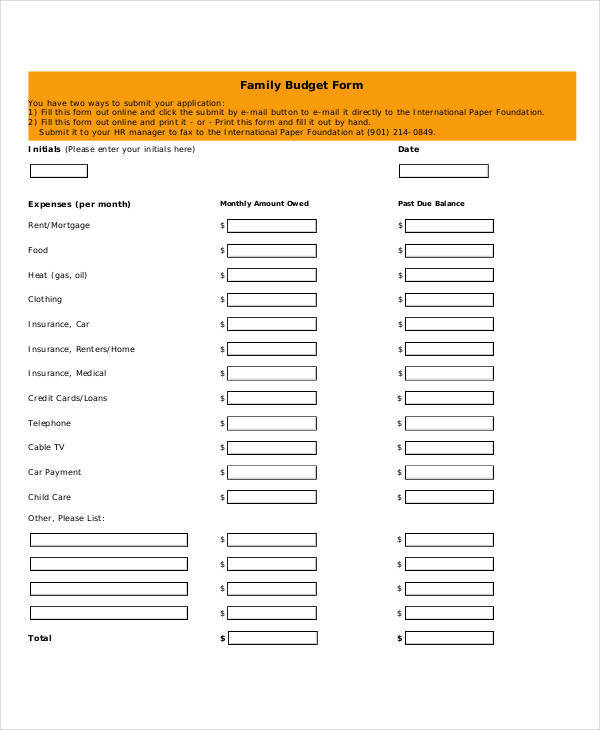 When one decides to create a family budget, the budget form would contain the correct format and content. In the form, a table is presented with the different financial items categorized into their respective categories. The income from the parents are included to give a basis on the proper spending habits to adapt and what the boundary is before one goes over the budget. What Is the Importance of Making a Family Budget? Being able to manage one’s finances and mastering financial responsibility is definitely a good thing for an individual to have. Money is an important asset for one to keep and spend wisely. When a person does not adapt healthy spending habits and financial responsibility, the money he or she has can disappear at a fast rate. 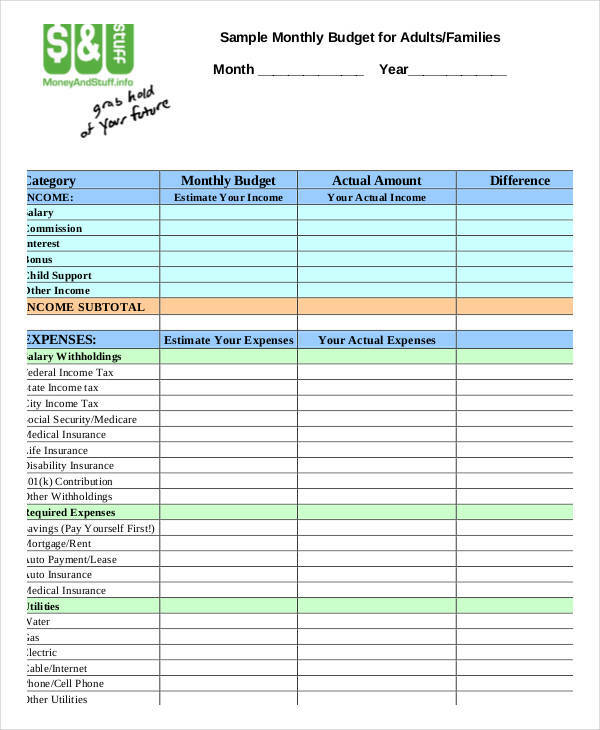 Budget forms such as Monthly Budget Forms can help outline a budget plan that will get the person back on the right track. An individual should take some time to review their financial situation and create a budget that helps manage it. When it comes to the creation and development of a family budget, it should be known that it is done in order to establish an organized approach towards handling funds. It is important to make a family budget because the difficulty of running a household can stem from the finances that come with it. Since children are part of the family, it is important to stick to the family budget in order to help save money for the children’s future endeavors. Parents who share their knowledge of properly handling money to their children can help mold them into financially knowledgeable and responsible adults.